For a number of years now the cork versus ABC – formally known as “Anything But Chardonnay” and now as “Anything But Cork” – battle has raged. Go to any retail store now days, and many wineries, and you’ll find most white wines below $20 with a screw cap. We’ve all wrestled with the synthetic closures, some too tight and some too loose. 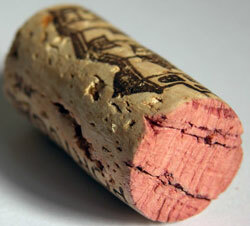 The Cork industry isn’t going to take it lying down any more. I saw this story on Decanter.com’s news alerts this morning. Check out the “I Love Natural Cork” website.